Exploring Pacific Islander Identity and Culture through Film. In July 2012, the Solomon Islands hosted the 11th Festival of Pacific Arts in the capital, Honiara. This event happens every four years – it’s a bit like the Olympics for Pacific Arts & Culture with 27 Pacific Countries in attendance. Pacific Stories co-facilitator, Amie Batalibasi, and Pacific Stories 2011 filmmaker, Lisa Hilli, attended the festival and participated in several aspects of the FOPA Film Festival program. 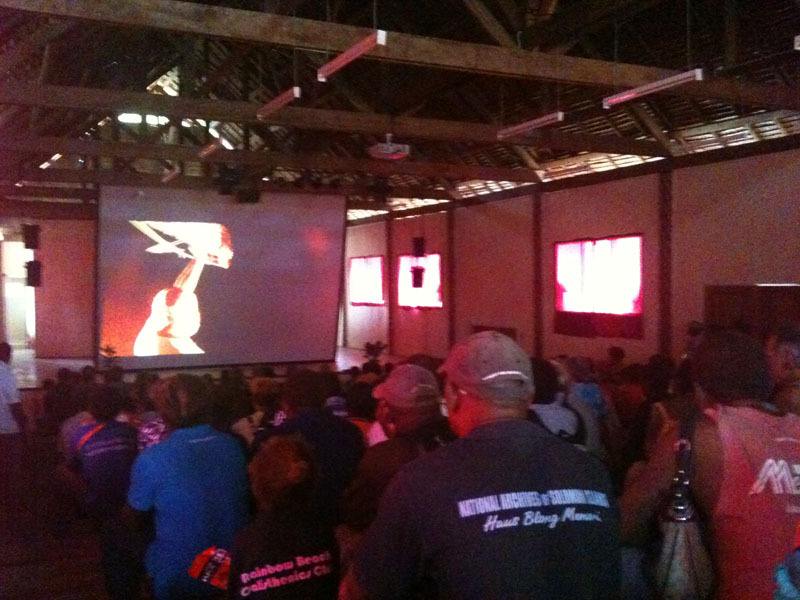 We were fortunate to be able to hold the International Premiere of the Pacific Stories 2011 short films during the festival. Amie and Lisa were on hand to present the films to an absolutely packed house – it was hot, steamy and tropical in that big auditorium but that didn’t stop the show! The reaction from the crowd was wonderful and it was the perfect platform to tell stories through the film about Australia’s Pacific Islander diaspora. We sold quite a few DVDs to festival attendees and locals, so we know that those stories are now being spread around the world! We missed having co-facilitator Lia Pa’ap’a by our side – and the other filmmakers… Here’s a little reminder of the films and the 8 wonderful writer/directors: This is My Culture by Ranu James, Fehuluni by Leilani Gibson, Kome Kalana – My Bubu by Wari Kome, Upi Mop Le – The Last Fish by John Harvey, Coconut by Pauline Vetuna, Pacific Women’s Weaving Circle by Lisa Hilli, Reva Reva by Paia Juste-Constant, From One to Another by Venina Kaloumaira. (Click here to watch the Pacific Stories Preview). Pacific Stories International Premiere Screening at FOPA 2012. © Pacific Stories 2012. The Pacific Stories films screened alongside the World Premiere of the Wantok Stori project short film Wea Noa Mi? (Where Am I?) – written, directed and acted by young first-time filmmakers in Honiara. It was an exciting event with the young people taking centre stage and introducing the film. We have been following the progress of that project here, and it gives us great pleasure to share the full length film with you all. Please enjoy- click here to watch (10mins). Also, look out for an educational resource kit – coming soon. Filmmaking in the Pacific panelists: Joost Den Hartog, Amie Batalibasi, Penny Smallacombe, Monica Guzman, Adilah Dolaiano. © Pacific Stories 2012. Well, that’s all from Pacific Stories for now… We hope you are well and happy! 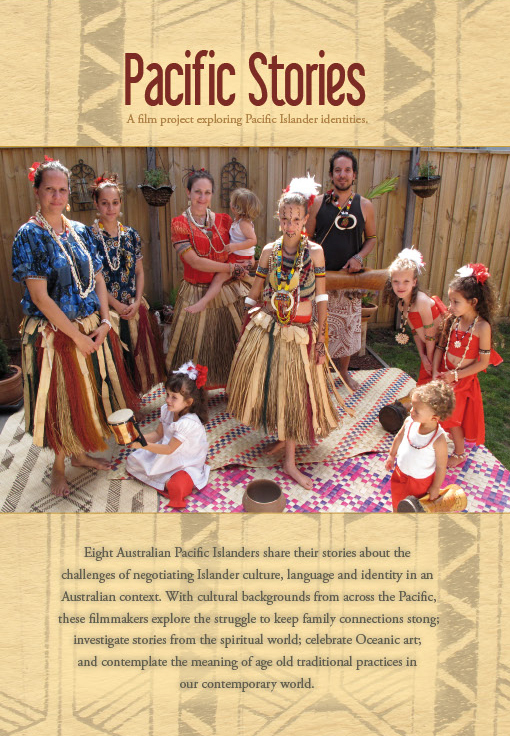 Don’t forget the Pacific Stories DVD is available online and makes a lovely gift! Big Night on the Murray! On Tuesday 26th June, the small town of Robinvale came alive to celebrate the hard work of 12 of it’s young people for the World Premier of Pacific Stories- Harmony on the Murray!! The screening was a cultural event with the Dreamtime Indigneous Dance group kicking off a huge night of dance, song and film. This project was targeted at bringing young people from Pacific and Indigenous Australian backgrounds together, giving them a chance to explore their diverse identities as well as any shared identity and stories that they might have. The journey of film making is a long and in depth one. All the participants went on this journey together and found out so much about film, themselves and eachother! The two 10 minute documentaries were titled Bright Stars which showcased some of the amazing talent that the young people in Robinvale have including a formidable young drummer named Eric and Chrissie who has the voice and heart of an angel. The other film was titled Cultural Spirituality. The film makers explored the different faiths and beliefs that their communities hold dear. The interviews of Sissy Petit, Ale Ale and Thelma Chilly explored Indigenous Austrealin Spirituality, Christian faith and how people marry the two to live in Harmony with their cultural and religious beliefs. Although the films were very different they both shoed the richness of their communities and shone positive light on both the Tongan and Australian Indigenous communities of Robinvale. The film makers should be very proud of them as we are!! The World Premier was a celebration of all that the group had achieved and their friends, family and community all came out to celebrate with them. There were over 60 performers on the night including performances from the Dreamtime Dancers, both Tongan young men and women as well as the amazing talents of Chrissie Ale who was also one of the subjects of the film “BRIGHT STARS”. The films were well recieved by everyone with the cheering and applause both at the end of the films and throughout them!! The nights entertainment was concluded with the Robinvale Brass Band, headed up by the amazing Suia, playing “We are Australian” accompanied by Daryl Singh on the Didgeridoo- encapulating the whole essence of Harmony on the Murray. The crowd sang along in harmony as well. We are both so thankful to the community of Robinvale for letting us into your homes and sharing the richness of your stories and histories with us and the young film makers. We have also learnt so much and just hope that we can find a way to get back up there again soon!! The DVDs will be on sale soon so keep checking out the FB page!! 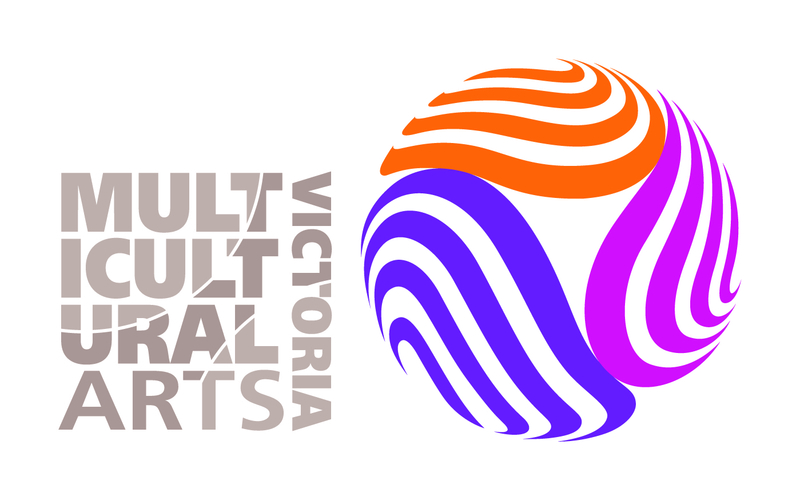 Big thanks to our project supporters, Regional Arts Victoria, Swan Hill Rural City Council, Robinvale Network House and Robinvale P-12 College. The big event is near! We are pleased to share with you the details for the PREMIERE Screening of the two short films made in Robinvale by our young filmmakers! We will screen the films along with a few films from Pacific Stories 2011, have some performances and also hopefully have a guest filmmaker to talk at the event – we will let you know when this is confirmed. CLICK HERE for the Harmony on the Murray Facebook Event. DVDs of the films will be available on the night – see you there! We are gearing up for the World Premiere of the two short films made by the Indigenous and Pacific Islander young people participating in the Pacific Stories – Harmony on the Murray project. We also would like to keep you informed about Wantok Stori – a film collaboration project where young people in the Solomon Islands are producing a short film to be screened at the Festival of Pacific Arts (FOPA) in Honiara in July. Pacific Stories Co-facilitator Amie Batalibasi and Pacific Stories 2011 Filmmaker Lisa Hilli, have been involved in training young Solomon Islanders in Honiara to produce a short narrative film around the FOPA theme Culture in Harmony with Nature. Wantok Stori is looking for support for the next phase of the project. The fundraising deadline is 15 June and if you would like more information please like, share and visit: http://www.gofundme.com/wantokstori Any support is greatly appreciated and goes towards the Wantok Stori project which is kick-starting young Pacific Islanders in the beginning of their journeys filmmakers! 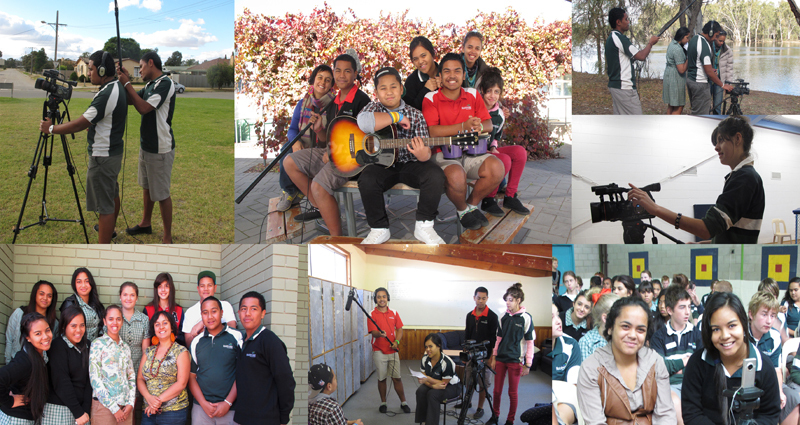 After an amazing week back at Robinvale P-12 College we have captured some amazing footage that will now be part of the two films that the Harmony on the Murray team is creating. The 9 young people that have been involved were thrown straight back into the project on Monday morning, revising what we had learnt during the first workshop and storyboarding for their films. The films being made are around “Talented people in Robinvale” (an idea pitched by participant Moj) and “Religion & Spirituality in Robinvale” (an idea pitched by participant Ofiu). Both really big topics with heaps to explore within such a dynamic community like Robinvale. “Talented people in Robinvale” saw the film makers look into the lives of Chrissy Ale- a 16 year old singer who is working hard to become a professional singer when she leaves school. With a voice of an angel, Chrissy performs across the region. Chrissy’s song that she wrote and plays guitar to will definitly be a major feature of the film!! We also met Eric Peniongo who is a 12 year old drummer with mad skills!! Eric is a drummer for the Robinvale Brass band- which is headed up by Tongan conductor Siua and has a 20 strong membership- you should hear them play R-E-S-P-E-C-T! We also meet the newly established Hip-Hop dance crew “MIXTURES” who mix cultures and dances to come up with their own dances. Congratulations to Jarome, Mary, Sarah and Moj for working as such a great crew on the film. “Religion & Spirituality in Robinvale” allowed the film makers Lillian, Juanita, Kadeasha, Dua and Leone to explore religion and spirituality from both the Tongan and Indigenous perspective. 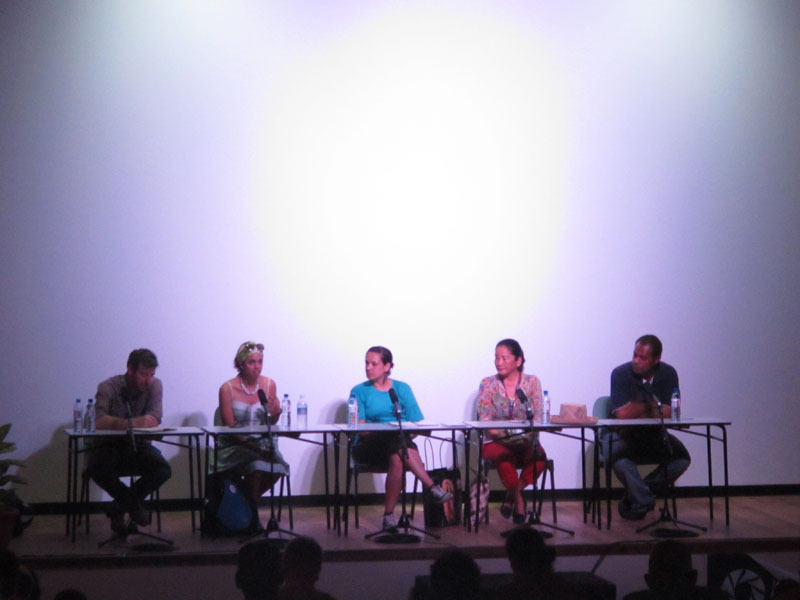 A massive topic, the filmmakers interviewed three prominent community members. Sissy Petit, who is a cultural advisor and grew up in and around Robinvale was filmed down at “Easter Camp” along the Murray River. Sissy spoke about cultural connection to country and it’s importance to Indigneous people. We heard stories from that land and learnt things that we didn’t know about Robinvale’s first people. Thelma Chilly was also interviewed, she explored Spirituality and Christianity and the role that it has played in her life. From the Tongan community, Alefosio Ale who is the P-12 Chaplain and Pastor of the Wesleyan Methodist Church. Ale (who is also Chrissy’s dad) talked about his role as a Pastor and how it informs him as a community and youth worker. Interview with Sissi Petit at ‘Easter Camp’. © Pacific Stories 2012. Overall, the community of Robinvale has again been incredibly gracious and generous with sharing their time and stories with the film makers. We now have heaps of great footage that we are taking back to Melbourne to get edited with assistance from some of the Young Media Makers Project crew. Participants, Facilitators and Project Supporters on our last day. © Pacific Stories 2012. 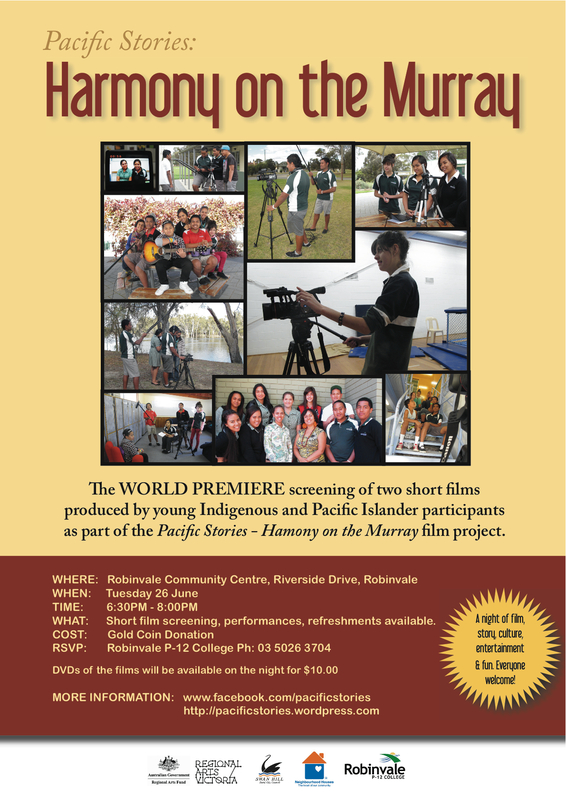 The screening has been booked for Tuesday June 26th in Robinvale so mark the date in your calendar and stay tuned for more information about what is going to be another amazing Pacific Stories event. We have a group of students developing and managing the screening event. Pacific Stories would like to thanks all who have participated in week 2 of this project. From the filmmakers and their parents who have supported them to be part of this project, the school staff and all of the community that we have worked with and our project partners, funders and supporters. A special thanks to Glenn in the music room who has allowed us to use his space and gear. It takes a community to raise a child – and in Robinvale there is such a supportive community behind these children – we feel very blessed to be a part of it!! Stay tuned and follow Pacific Stories on Facebook for more info and photos! 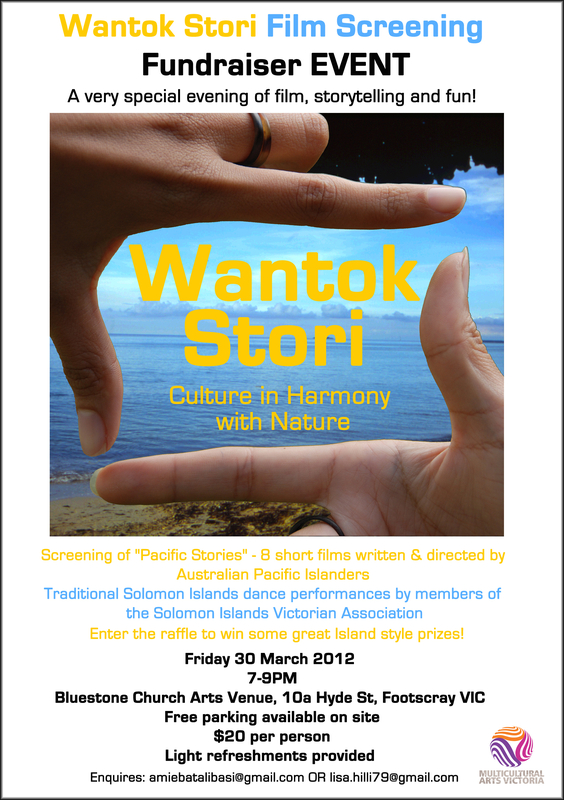 Pacific Stories in association with Multicultural Arts Victoria is proud to present a night of film, storytelling and fun at the Wantok Stori Film Fundraiser Event, 30 March in Footscray, Melbourne. This event will raise funds for the Wantok Stori – Culture In Harmony with Nature project which is a film collaboration and exchange project between Victoria and the Solomon Islands that explores and celebrates the diversity of Pacific cultures. As part of the project Solomon Island and Australian Pacific communities will come together to produce a film on culture and the environment for the upcoming Festival of Pacific Arts. about it to screen at the Festival in July. enabling us to share stories, share culture and share skills.” Amie Batalibasi said. area of arts and culture. homeland or in Australia.” Lisa Hilli said. online discussion as inspiration, to capture a range of views and ideas about the theme. 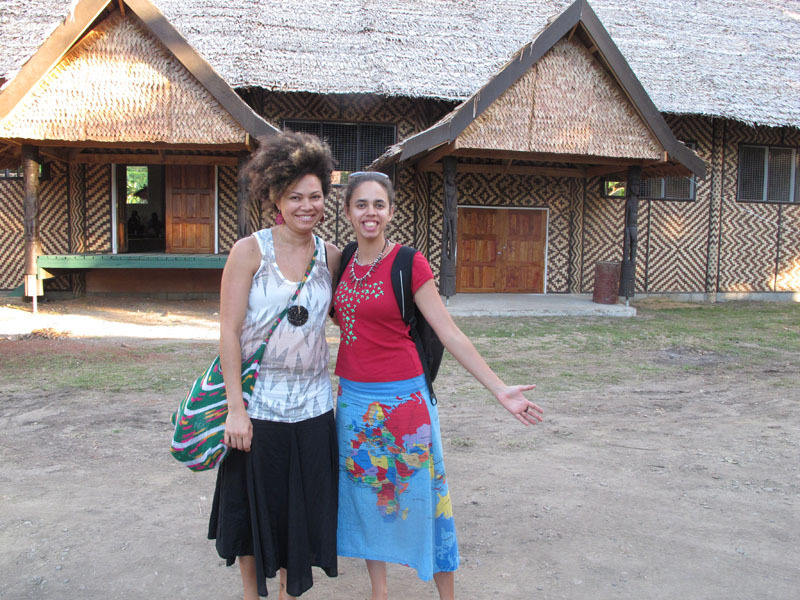 Amie is co-facilitator of Pacific Stories & Lisa is a Pacific Stories 2011 filmmaker who wrote and directed the Pacific Women’s Weaving Circle short documentary. Also, one of the Pacific Stories filmmakers, Venina Kaloumaira, has set up a fantastic website: www.island-time.info Here you can find information about Pasifika community events happening Australia wide and also list your Pasifika event. You can also follow on Twitter: @1sland_t1me and Facebook. CROSS CULTURAL SPRING FESTIVAL: Saturday 24 September, Koornang Uniting Church: 117 Murrumbeena Rd, Murrumbeena (films screen at 12PM in the Film Room). More details on the Pacific Stories Facebook group. Buy Pacific Stories DVD Buy Pacific Stories DVD for $20. FACEBOOK Page for Pacific Stories Our Pacific Stories Facebook page. 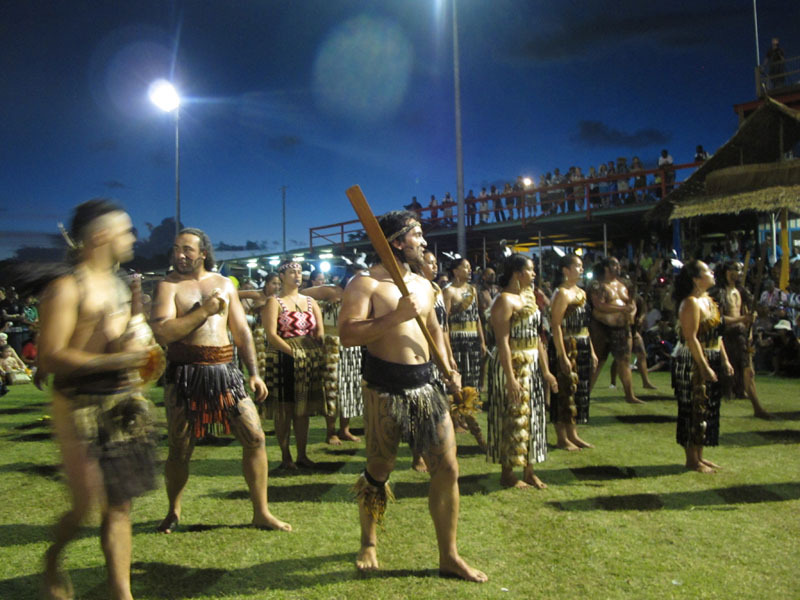 Island Time Website Pasifika Community events listings Australia wide. My Story, My Place-Through the Lens A past media making project facilitated by Amie and Lia. 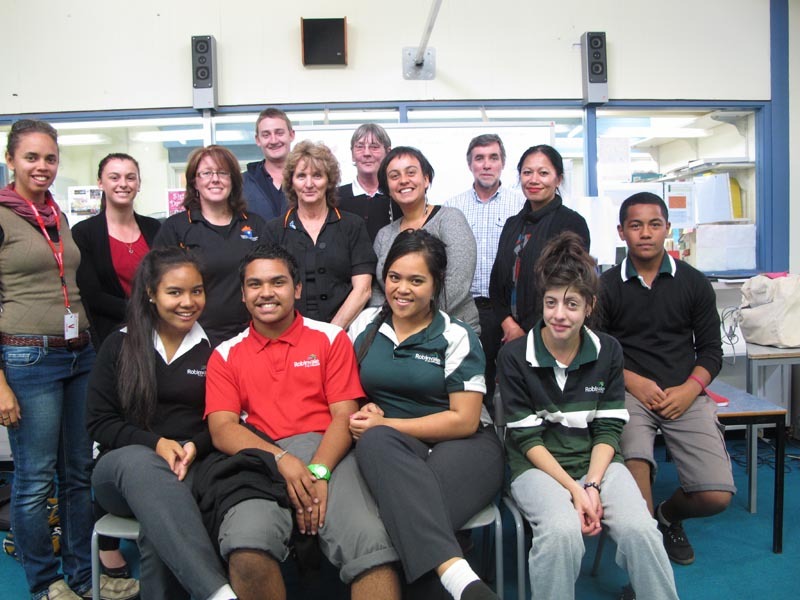 Pacific Community Partnerships An organisation set up to help pacific communities in need.